51st Ohio Volunteer Infantry, Co. B. - 51st Ohio Volunteer Infantry, Co. B. 51st Ohio Volunteer Infantry, Co. B.
education of the American public. of the civilian during the war between the states. The 51st OVI, Co., B is an active member of the Army of the Ohio. 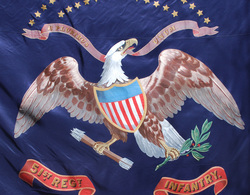 The 51st OVI, Co., B is the host of the Battle on the Ohio Erie Canal Civil War Reenactment held in Zoar Ohio. The next event is September 19-20, 2015 and is Ohio's largest and best Civil War event. Click on the banner below to visit the web site. Next year we will be celebrating the 150th Battle of Sailor's Creek.